Veronica and Cecilie meet each other online. They form a death pact and travel to Veronica’s family cabin by the mouth of a fjord with a video camera to document their final days. When a boy from the neighbouring cabin appears, it is disclosed that they have extremely different needs and goals. The film is the girls’ own footage. 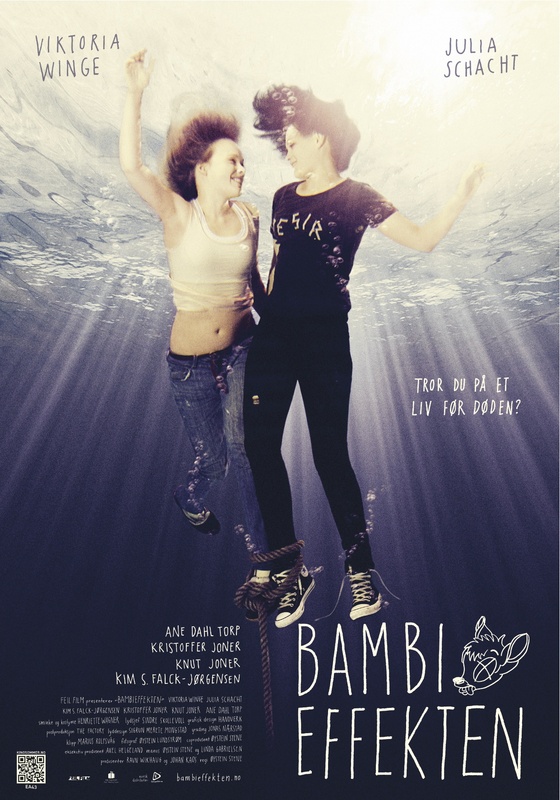 The main characters are played by Viktoria Winge and Julia Schacht, supporting roles by Kim Falck-Jørgensen, Knut Joner, Kristoffer Joner and Ane Dahl Torp. The film premiered on 28 July 2011 in around 30 Norwegian cinemas, and was produced and distributed by Feil Film and Europafilm. The film’s theme incited a debate before the premiere, but the debate was naturally concluded after the events of 22 July, just a few days before the premiere. See also feature articles, interviews and further references in Aftenposten and Psykologforeningens tidsskrift. The film’s international premiere was at Filmfest Hamburg in August 2012.